Potatoes are easy to work with, and easy to mold into different side dishes with various flavors. 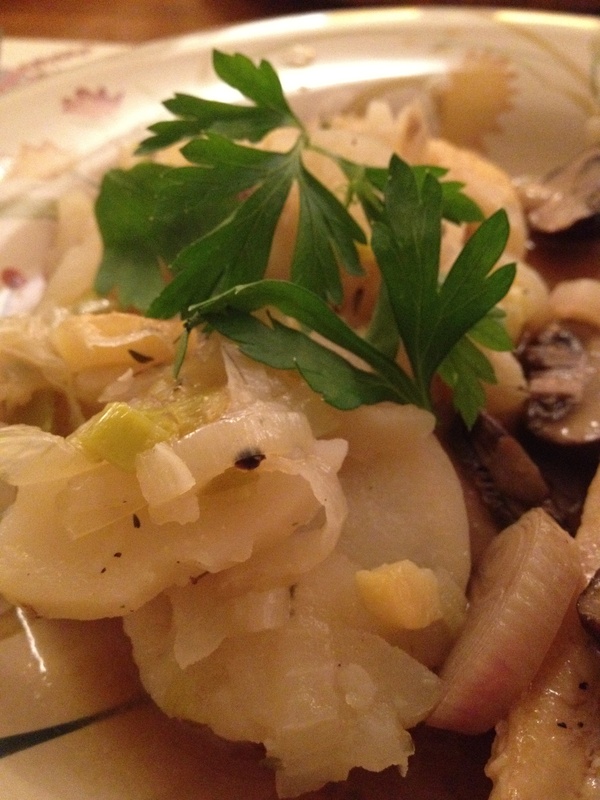 Here is a basic casserole that adds the unique flavors of leeks and fennel. A great side dish to any hearty meal! Add the leeks and fennel and saute until tender, about 10 minutes. Add the potatoes, chicken stock, white wine, parsley, and salt and pepper. Continue to saute another 15 minutes. Transfer to a deep oven safe dish and bake another 60 minutes, until the potatoes are soft. Serve hot, sprinkle with parmesan cheese.